Being an artist is one of the only jobs where we just throw unqualified people out to work and just expect them to succeed. There is no one really teaching artists how to be artists. What could we be doing to better prepare the artist before they go on radio tour, before they go in a studio, before they get dropped into the limelight where we want to build them up but end up knocking them down? What can we do as an industry to better prepare our artists for this journey? As a matter of fact, we need to think about it pretty hard because we’re funding it! The Internet has been a great leveller and it provides everyone equal opportunity and this is why having a real plan is critical. 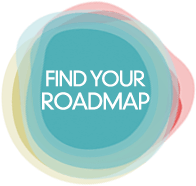 We’re talking about an artist development road-map that deeply dives into each area that you choose to focus on, providing our top recommendation in each area, so you don’t waste any time or energy. With our knowledge of growing a fanbase and managing overwhelm, we can help to get you taking laser-focused action with purpose & clarity on your goals. Being mindful of your current resources and strengths, we layout a step-by-step guide in each area so you will know exactly what to do, and in what order to do it, to get to your goals. Want to know more? Read our Blog Article on the 5 POINT PLAN and why it works for you.